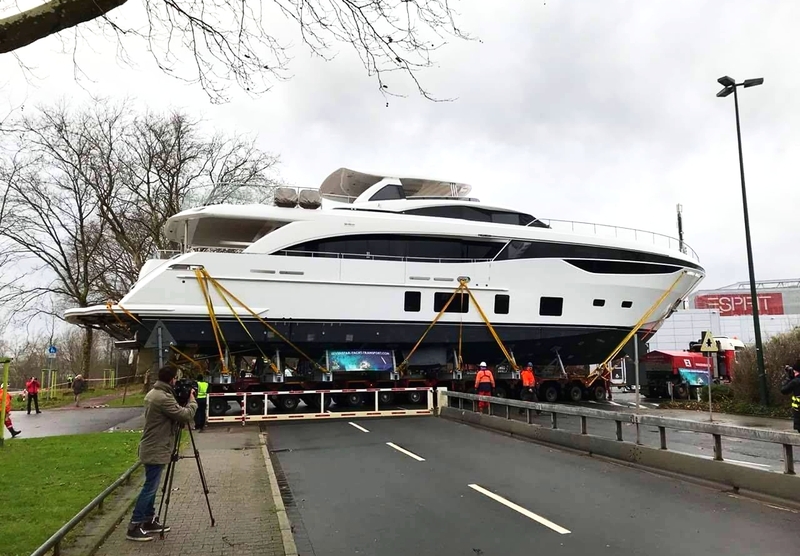 Sevenstar Yacht Transport and the Princess team ensured the safe arrival of the Princess into the hall at boot Düsseldorf. 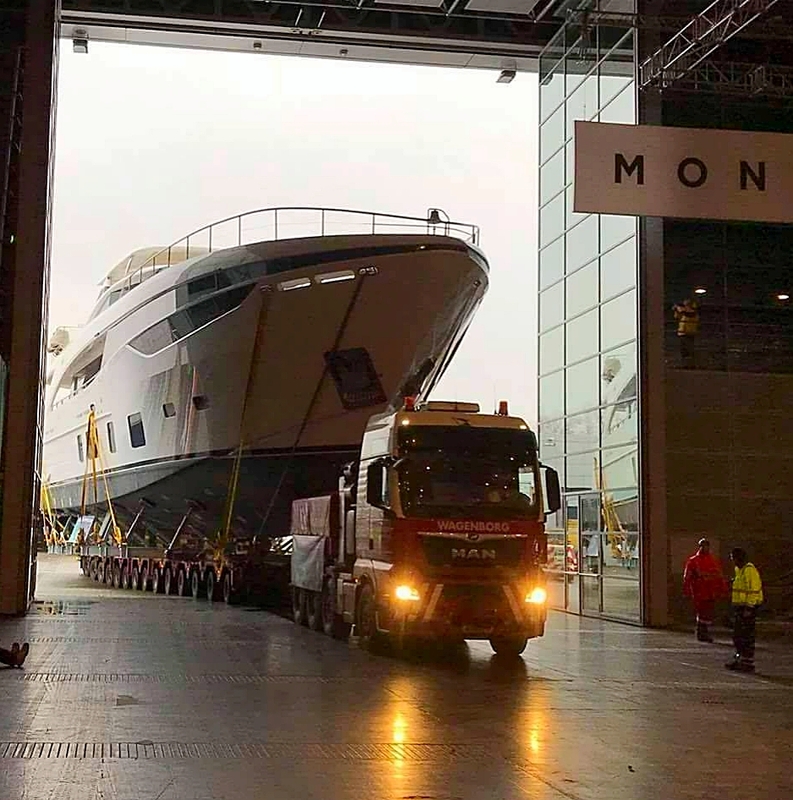 The first pontoon, which is being unloaded on 3 January, is bringing prestigious international cargo: one British, one Arabian and three Italian yachts. The British Princess 35M will be the undisputed star of boot 2018. For the first time in a long time, a yacht of this size will be on show in a trade fair hall. It is 115 feet 4 inches long, which corresponds to exactly 35.15 metres. The royal beauty will be the absolute heavyweight of the trade fair at 170 tonnes too. The starting price for the luxury yacht from the Princess shipyard based in Plymouth / England is about € 8 Million british pounds, while it goes without saying that there is no upper limit as everything depends on the luxurious equipment and furnishing that are chosen.